Our team’s diverse background as analysts, advisors and project managers—for multiple public and private sector organizations—allows us to offer clients a broad range of experience and understanding of the complex issues involved in working in developing country contexts. Our commitment is to bring a commercial and customized approach to projects and problems in a way that responds to our clients’ needs. Anita is an economist with 30 years of experience in international and US finance and private sector development. She is a Rural and Agricultural Finance expert and has led Connexus since its inception in 2007. Anita has overseen several USAID-funded projects, including Connexus’ work on USAID/Ghana FinGAP and USAID/Rwanda’s Private Sector Driven Agricultural Growth project and Huguka Dukore (Youth Development project). In Senegal, she led a team to conduct market research on small and medium enterprise (SME) finance. Previously, she managed the Financial Sector portfolio for Chemonics International, overseeing projects related to SME finance, insurance, leasing and investment funds, as well as regulation and supervision of microfinance institutions. As executive director, Anita transformed the MicroFinance Network into a leading policy institution by developing and promoting microfinance best practices. In Mali, she was the Associate Program Director for Peace Corps’ Small Enterprise Development program, supporting 60 volunteers who provided technical assistance to businesses and microfinance institutions. Anita has designed and led participatory trainings in English, Spanish and French. Alby is a Project Associate at Connexus Corporation, contributing to logistical and administrative support for current and potential projects and consultants. Before joining Connexus, Alby worked for UCP Wheels for Humanity, where she was responsible for the organization’s fundraising activities. She also worked as their Administrative Assistant, where she fielded staff and assisted with home and field office logistics. Her interest in development stemmed from her service as a Peace Corps volunteer in Burkina Faso, where she served as an Early Childhood Education Specialist also taking on Agricultural Projects within her community. She received her Bachelor of Arts in International Development Studies and Sociology from UCLA, and is currently working on a Master’s degree in Public Administration and Non-Profit Management from Cal State, Northridge. Alby is fluent in Spanish and has a working knowledge of French. Alice is a Communications Specialist at Connexus, supporting the USAID/Zambia Accountable Governance for Improved Service Delivery (AGIS) project. Prior to joining Connexus, Alice served at a leading Zambian independent school, Chengelo, where she coordinated and implemented multiple marketing communications projects. She also worked as a Senior Consultant at the Zambian award-winning PR agency, Cutting Edge, catering to a complex client base that included the Alliance for a Green Revolution in Africa, African Development Bank, United Nations Foundation, European Union Delegation to Zambia and COMESA, British Airways, Coca-Cola and the Duke of Edinburgh International Award for Young People. Alice holds a Bachelor’s Degree in Communication Management from Edith Cowan University, a Certificate in Diplomacy, Protocol and Public Relations from the Zambia Institute of Diplomacy and International Studies, and a Certificate in Crisis Communications from Fleishman-Hillard. In 2015, she was recognized as Emerging Public Relations Practitioner of the Year by the Zambia Public Relations Association. Augustin supports the USAID/Rwanda Huguka Dukore Project as a Finance and Agribusiness Specialist. He has actively supported Rwanda smallholder farmers to access finance and markets as well as to build their business mindset and capacity for more than ten years. Prior to joining the Huguka Dukore project, Mr. Sebakambwe served as the Ngoma 22 Project Coordinator on SPIU RSSP-LWH projects funded by the World Bank and was an Assistant Lecturer from the Independent University of Lay Adventist of Kigali. Prior to the SPIU RSSP-LWH projects, Mr.Sebakambwe was the Agribusiness and Financial Services Specialist in Gasabo District and previously worked as a Loan and Rural Finance Officer for UNGUKA Bank Ltd. He has worked closely with the public sector, local and international organizations, private sector financial institutions, agro-dealers, traders and buyers. Augustin holds a Masters of Science in Agricultural Economics from Wageningen University in the Netherlands and a Bachelor of Arts in Economics Sciences from Kigali Independent University, Rwanda. Bakary is a finance and enterprise specialist with nearly a decade of experience in small and medium-scale enterprise financing and analysis. He currently serves as a Finance Specialist for Connexus on the USDA Linking Infrastructure, Finance and Farms to Cashew (LIFFT-Cashew) project in The Gambia, where he manages Connexus’ activities related to access to finance in the cashew value chain. He has wide knowledge of the financial sector in The Gambia and has built strong connections with a variety of actors in the field. Previously, Bakary was an Account Officer and Relationship Manager at Guaranty Trust Bank Gambia, where he provided financial advisory services and analysis, in addition to monitoring and evaluating project and portfolio implementation. Dominic has over 10 years of experience in financial services, training, business planning, market research, product development, risk management and value chain finance. 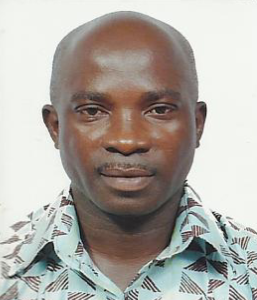 He currently serves as the Agri-Finance Training Technical Specialist for the USAID program, Financing Ghanaian Agricultural Project (USAID FinGAP). Previously, he was the lead consultant for the development of a youth inclusive financial services product under the YouthSave program for HFC Bank/Boafo Microfinance Ltd. He also assisted in the design and development of three innovative financing products under the Agriculture Credit Program Consultant (ACPC) component of the Millennium Development Authority (MiDA). Dominic is a skilled trainer and has facilitated numerous trainings on financial performance indicators, loan portfolio management, financial statements analysis, sustainability and outreach and value chain finance. He holds a Master’s Degree in Financial Management from Middlesex University Business School in London, UK. Falilou is an international development and senior finance specialist. He has worked for more than 30 years in corporate banking and finance and has extensive experience in project management related to rural and agricultural market development and access to finance. Falilou currently serves as the Senior Finance Specialist for the USDA Linking Infrastructure, Finance and Farms to Cashew (LIFFT-Cashew) project. He has a deep understanding of the West and Central Africa banking industry and his skill set combines consulting, international development, banking and finance in a domestic and international context. Ines is a Tunisian Finance Specialist with over 15 years of experience helping companies expand their activities and strengthen their business practices. She is also an expert in the development and implementation of investment and finance strategies for small and medium enterprises (SMEs). Ines currently supports the USAID Jobs, Opportunities and Business Success (JOBS) project as the Access to Finance Team Leader, where she works with the financial sector to increase access to capital (debt and equity) for SMEs in Tunisia. Prior to joining the JOBS project, Ines worked on several USAID projects as the Access to Finance Team Leader, including the USAID Middle East Economic Growth Best Practices Project (MEG) and the USAID Business Reform and Competitiveness Project (BRCP). Ines is also a Finance Lecturer at the Tunisian Exchange Training Institute (IFBT). She holds an a PhD in Management Sciences and is fluent in Arabic, French and English. Laura is an economist by training with 20 years of experience providing technical assistance and support to small businesses. She has experience working on youth and extending financial services to them in Africa. Prior to serving as Connexus’s Operations Manager, Laura spent 10 years as an Economist with the U.S. Environmental Protection Agency in Washington, DC, working on pesticide and agricultural issues. Most recently, she was President of Shenandoah Brewing Company, a small, family-owned and operated microbrewery in Alexandria, VA.
Medicke is a development and training specialist with over 20 years of experience working in finance and entrepreneurial training, with extensive experience in management and community-based organization related to rural and finance development. He serves as a Finance Specialist for Connexus on the USDA LIFFT Cashew Project in Senegal. His work with domestic organizations and USAID has taken him across southern Senegal and given him a deep understanding of the needs of micro and small enterprises in the region. Melissa is a Gender and Agricultural Finance Specialist with almost 10 years of working in agribusiness development and access to finance. A Project Manager, she oversees several projects for Connexus, including the USAID/Rwanda Huguka Dukore youth project, as well as the LIFFT-Cashew project among others. She has designed and delivered several trainings and technical assistance, including on “Agricultural Value Chain Finance” and “Developing Youth-appropriate Financial Services” for Rwandan financial institutions. She also designed a successful training for the USAID Financing Ghanaian Agriculture Project on “Gender and Financial Inclusion,” which led several financial institutions to adapt product to address gender concerns and expanded outreach to female agribusiness owners. She has a MSc with Distinction in Gender, Development and Globalisation from the London School of Economics and Politics, and a BA in Global Studies and Economics from North Central College in the US. Melissa is fluent in Spanish and has a basic knowledge of French. Todd Crosby is Vice President of Programs for Connexus. Previously,Todd was the Senior Technical Director for Resilience and Food Systems and Chief of Party for NCBA/CLUSA on Yaajeende, USAID Senegal’s flagship food security project in Senegal from 2010-2015. Yaajeende pioneered the “Nutrition Led Agriculture” methodology, a food systems approach to resolving issues of food security, hunger and malnutrition by strengthening local market actors, notably Community Based Solution Providers, to support the production, trade and consumption of healthy foods.Todd holds an MA in Social Sciences from the University of Chicago and has over 23 years of experience working in community development in West Africa in Mali, Senegal, Burkina Faso, Togo, Benin, and Ghana. His technical expertise focuses on the use of private sector business approaches such as value chain, last mile agents, micro-finance, social marketing, and social franchising for community based rural development. Zied Ben Othman is a Finance and Equity Specialist with 16 years of experience in the Tunisian financial sector. He currently serves a Finance/Equity Specialist on the USAID Jobs, Opportunities and Business Success (JOBS) project, where he works with Tunisian financial institutions to increase financing for micro, small and medium enterprises (MSMEs). Prior to joining the JOBS project, Ziedworked for Neapolis Finance, a consulting firm he helped found, which also helps strengthened and facilitated access to finance for small and medium enterprises (SMEs) in various sectors. He was also Co-founder and Managing Director at Builders Partners where he tailored his client’s investments using financial analyses and trends. Zied also worked in the private equity sector from 2003 to 2014 as an Investment Officer at SODICAB SICAR and Manager of Phenicia Seed Fund in Alternative Capital Partners (ACP). He holds a Master’s degree in Financial Engineering from the Tunis’ Higher School of Commerce (ESC), and a Bachelor’s degree in Finance from the Institute of High Commercial Studies of Carthage (IHEC). He is a native Arabic and French speaker, and proficient in English.